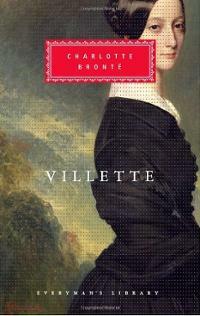 I have read Charlotte Bronte’s Villette many times. I am rereading it now. To a woman of a certain age, Bronte’s Villette, an unflinching report of solitude and isolation, is more interesting than Jane Eyre. By the time one is thirty, Mr. Rochester no longer appears romantic, and we frankly think Jane would have been better off with St. John. 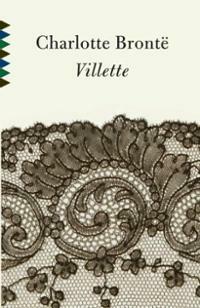 We’re sorry that the heroine of Villette, Lucy Snowe, ends up with whom she does, but nonetheless we adore the book. Age 14: Thought it odd. Perhaps I would end up like Lucy Snowe. My aunt seemed to think so… She stressed education over romance. Age 24: Despite the fact that I had been married and was engaged once more, I felt like Lucy Snowe. I was teaching and perhaps in love with Dr. John Graham Bretton. 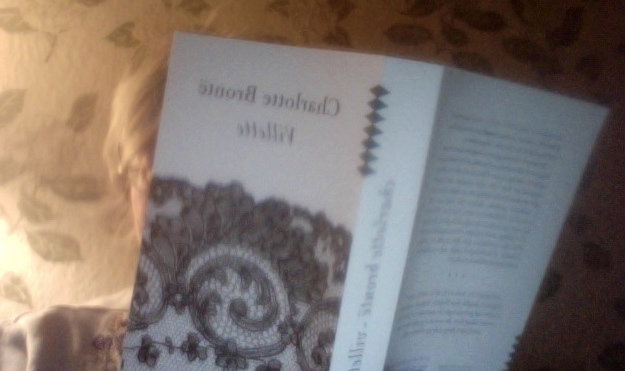 Age 37: I was teaching again and rereading Villette. Age 44: No longer thought I was Lucy Snowe, but loved the book. Age __: This bold novel is much tougher and yet more nuanced than Jane Eyre, and feminist readers and Bronte fans should give it another chance. Throughout Villette, Lucy Snowe, the solitary narrator, is the invisible woman in triangular relationships. Attachments become triangulated without her realizing it, and the men certainly do not realize it, but whenever she has a friendship with a man, there is another woman in the foreground. When we first meet Lucy, she seems cold. There is something almost voyeuristic about Lucy’s cold scrutiny of her godmother Mrs. Bretton’s household, though she loves her godmother. As a teenage girl, Lucy has no interest in Graham Bretton, the handsome, lively teenage son. But in minute detail Lucy describes Graham’s friendship with Polly, a small child who becomes passionately fond of Graham when she stays with the Brettons’ during her father’s illness. Graham teases her and behaves like an older brother, while Polly is like a tiny woman. Lucy cannot understand the magnitude of the child’s attachment. Lucy is shadowy. She tells us very little about her family, and there is a Gothic mystery about her intense solitude and taciturnity. We wonder who this woman is, who in later chapters is thrown on the world without money, and who eventually ends up a teacher at Madame Beck’s school in Villette (an imaginary city like Brussels, where Bronte taught) and meets Graham Bretton (now called Dr. John) again. Two people have an enormous influence on Lucy’s position in Villette. Ginevra, a beautiful, giddy, merciless, heartless student, whom Lucy first meets on the boat from England, tells her about the school. She mentions that Madame Beck, the headmistress, needs a nurse for her children. Lucy ends up teaching there coincidentally, and she also coincidentally meets John, whom she does not recognize, and who helps her with the language when she needs to inquire about her luggage. We learn that he is in love with Ginevra. Lucy and Ginevra have a borderline-lesbian relationship. Lucy has nothing good to say about Ginevra, and yet when both are in a school play, Lucy, who plays a man, does her best to flirt and out-woo the other man for Ginevra. It is partly because John is in the audience (she does not yet know he loves Ginevra) and she wants to shine, but Lucy also favors Ginevra at breakfast by trading bread for coffee, and likes her company, despite her dislike of the girl. Lucy falls in love with John, though he does not realize it. The triangle does not affect him, because he does not know Lucy cares. She realizes she is likely to be single all her life. She is intelligent but not pretty or charming. Reason tells her not to hope after she returns from a visit to the Brettons and John promises to write to her. Lucy’s hopelessness is harsh, because aren’t we all madly in love in our twenties and secretly believe ourselves irresistible? But this is Charlotte Bronte talking, and we never doubt her, because Lucy’s style is both meticulously restrained and passionate. Lucy is a fiery woman stuck in the drudgery of teaching unintelligent girls English. There are other triangular relationships, including Madame Beck’s rivalry for John with Ginevra, but she soon realizes it won’t work. She is middle-aged; John is in his mid-twenties. There is another triangular relationship when John falls for Polly, who is now a woman: Lucy is unnoticed. Later, Lucy and Madame Beck are earnest rivals for M. Paul. And Lucy is visible when the man is ordinary, plain, and intelligent. This entry was tagged Charlotte Bronte, Villette. Bookmark the permalink. I was astonished at how solitary she was. I never realized it until a recent reading. And depressive and self-flagellating. I loved the depiction of a woman’s life alone, but not the self-repression so utter. Magnificent portrait of Madame Beck, no? Yes, she is very repressed. One wonders what has happened to her: she tells very little about her life. She is more mysterious than Jane, harder to relate to. Madame Beck and her surveillance! Horrible. Charlotte Bronte struggled with loneliness and a sense of inadequacy all her life, and I think it’s reflected in Villette. This book is the real key to Charlotte’s inner life. Caroline, I’m sure you’re right. This book has so many fascinating details about teaching, depression, and Villette/Brussels. I felt she really enjoyed making M. Paul, so unromantic, the boyfriend after the romantic Mr. Rochester.